Decay of Logos is coming to the Switch, and the team behind the game couldn't be more happy about it. 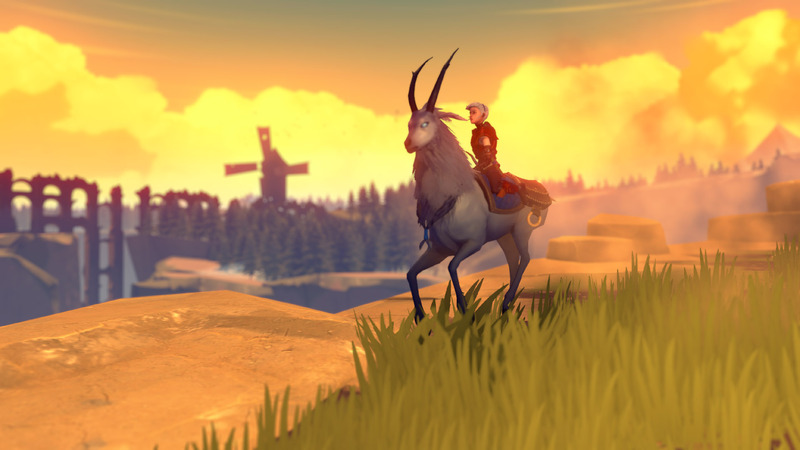 In an interview with IGN, Amplify Creations founder Diogo Teixeira talked about their move to bring the game to Switch, as well as where it's at in development. "The idea of having a full console-like experience on the go is really enticing. Soon after we got a chance to test the system, like many other players, we were completely hooked!. Nintendo is much more open to indie developers now than in previous years, getting on board with the help of our publisher, Rising Star Games, was a no-brainer." Even though the game runs ok at the moment, it’s actually a bit scary for us to show the Switch version so early on since we’re still using most of the assets made for other console targets. We’re currently working on platform-specific optimizations and assets that will ensure it achieves the best performance possible for our game on the Switch." I saw a clip of this the other day...I think on the IGN Nintendo podcast...and it looked REALLY good. Definitely looked like it was Breathe of the Wild inspired...and according to IGN when they talked about it...it supposed to be something of a mix of BoTW and Dark Souls...where the game can be tough...but not too overly so. What I saw REALLY peaked my interest...can&apos;t wait to see/learn more about this one!